The cyclone also triggered heavy rainfall in at least three districts and caused minor damage to power and communication. BHUBANESWAR: Cyclone Titli uprooted trees and electric poles and damaged hutments in Odisha's Ganjam and Gajapati districts after making landfall early Thursday morning, but no loss of lives was reported from any part of the state, officials said. A red alert has been issued for the neighbouring state of Andhra Pradesh as well. "There has been no major damage or report of casualty received from any part of the state so far. Some destruction was reported from Ganjam and Gajapati districts," Special Relief Commissioner (SRC) B P Sethi said. Power supply and telephone links got disrupted and road communication snapped due to uprooted trees at many places of Gajapati district, the SRC said. Efforts are on to clear roads blocked by uprooted trees and restore power supply in affected areas at the earliest, he said. In all, eight districts - Ganjam, Gajapati, Khurda, Puri, Jagatsinghpur, Kendrapara, Bhadrak and Balasore - have been affected by "very severe cyclone Titli", he said. 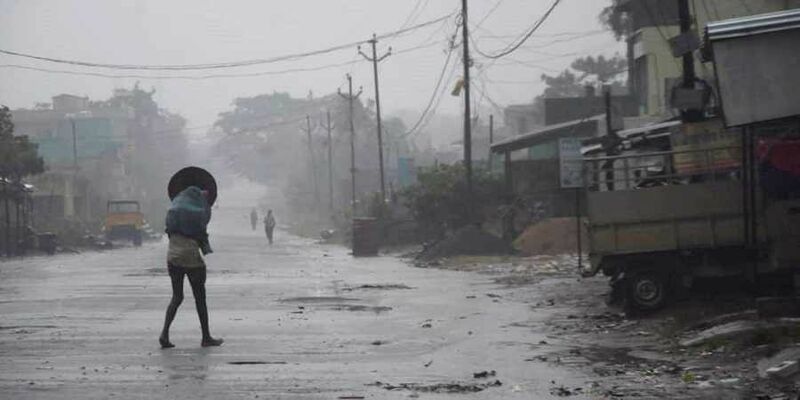 Cyclone 'Titli' triggered heavy to very heavy rainfall in Ganjam, Gajapati and Puri districts of Odisha, while damage of hutments and asbestos-roofed houses, street lights, road blockade due to uprooted trees were reported from Ganjam. Road communication between Paralakhemundi and Mohana and some other block headquarters in Gajapati had been disrupted under the impact of the cyclone, he said. In Ganjam, reports of damage to hutments and other structures and uprooting of trees were received from some areas, he said. The latest India Meteorological Department (IMD) report said cyclone 'Titli made the landfall between 4.30 and 5.30 am in south-west coast of Gopalpur near Palasa in Andhra Pradesh with an estimated maximum sustained surface wind speed of 140-150 kmph gusting to 165 kmph. The landfall process has been completed and "the centre of eye of cyclone 'Titli' lies over the land," the IMD said. The system is now moving northeastwards towards Gangetic West Bengal across Odisha and it will weaken gradually, it said. An hour after the landfall, Gopalpur in Odisha reported surface wind at 126 kmph, Kalingapatanam in Andhra Pradesh recorded wind speed of 56 kmph. As cyclone 'Titli' entered the land mass, some districts, including Ganjam, Gajapati and Puri, are receiving good amount of rainfall coupled with high speed wind. Director of Meteorological (MeT) Centre Bhubaneswar H R Biswas said the "very severe cyclonic storm" (VSCS) is being monitored by the coastal Doppler Weather Radars at Visakhapatnam, Gopalpur and Paradip. As part of its pre-cyclone preparedness, the Odisha government has evacuated over 3 lakh people living in low-lying areas of the five coastal districts ahead of the landfall. They were accommodated in 1,112 cyclone shelters. Altogether, 105 pregnant women in Ganjam district and 18 in Jagatsinghpur have been shifted to hospitals, the SRC said. He said 13 teams of the National Disaster Response Force (NDRF) and the Orissa Disaster Rapid Action Force (ODRAF) have been deployed at several places along with fire brigade.